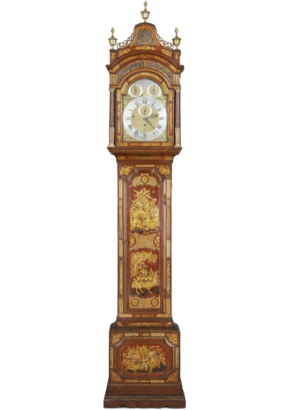 An exceptionally fine and elegant 18th century English red japanned musical longcase made for the export market and playing music from a selection of four dances at the hour with sixteen hammers on a nest of thirteen bells. The magnificent case with original gilt fretwork to the hood side panels and arch, the caddy top also with fretwork and three original flambeau urn finials. 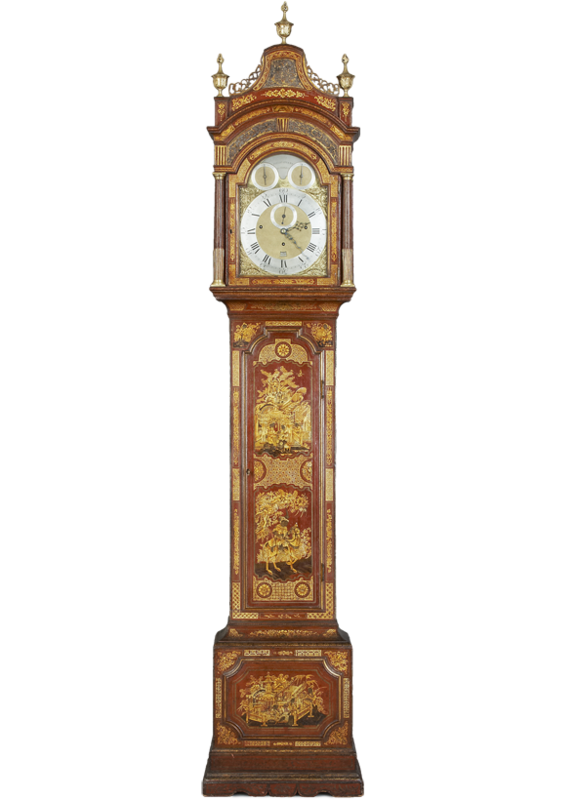 The substantial six pillared movement with a 12 inch break arched dial with subsidiary dials for chime/not chime, choice of four dances and the makers signature engraved on a silvered cartouche between.